To register for the blood drive, please visit the https://www.redcrossblood.org/ and use the keyword PCRBLibrary. There is a severe blood shortage as we enter the holiday season. If you or someone you know can donate, please give the gift of life this holiday season! Toni McKeen of http://www.tonigenealogy.com/ gives suggestions for beginners on how and where to start your family research. She will cover important basic web sites, helpful materials, and how to establish a system. 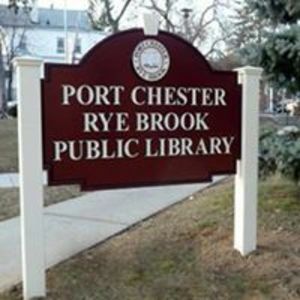 This event is sponsored by the Friends of the Port Chester-Rye Brook Public Library. Retired educator and Port Chester resident Anthony Napoli teaches this free citizenship course. Verbal and written English are required. Space is limited and pre-registration is required at 914-939-6710 ext. 110 or in person at the Information Desk. November 2, 2018 at 10:00 a.m. The Westchester County Department of Health will offer FREE public training on how to respond to an opioid overdose using Naloxone (Narcan).Register online at www.westchestergov.com/health or call the Division of Health Promotion at 914-995-6584. Toni McKeen of Toni's Genealogy gives suggestions for beginners on how and where to start your family research. She will cover important basic web sites, helpful materials, and how to establish a system. This event is sponsored by the Friends of the Port Chester-Rye Brook Public Library. Resilience is a one-hour documentary explaining the science of Adverse Childhood Experiences (ACEs) and the creation of a new movement to treat and prevent toxic stress. Toxic stress is now understood to be a contributing factor to everything from heart disease and cancer to substance abuse and depression. important work can help our community thrive. This film is for adults only and has Spanish subtitles. Light refreshments will be served. Pre-registration is required at http://pcrblibraryresilience.rsvpify.com, in person at the Information Desk or by phone at 914-939 6710 ext.103. Babies, toddlers and preschoolers will sing songs and rhymes, listen to stories and meet puppets Sonny, Goo Goo and Gaga. This program will be held at 11:30am on Mondays, September 24th, October 1st, 15th, 22ndand November 5th. No pre-registration is required. For more information, call the Children’s Room at (914)939-6710 x108. Babies, toddlers and preschoolers will have fun with songs, instruments, bubbles & more!This program will be held at 9:30am on Tuesdays, September 18th & 25th, October 2nd, 9th, 16th, 23rd and 30th and November 6th and 13th. No pre-registration is required. For more information, call the Children’s Room at (914)939-6710 x108. “Toddler Time with Ms. Tee” for ages 2-3 years is on Wednesdays at 11:00am. Classes will be held on Wednesdays, September 19th & 26th, October 3rd, 10th, 17th, 24th & 31st and November 7th. Parents and children will participate with fingerplays, songs, stories, musical instruments and other related parent child activities. Pre-Registration is required starting Monday, September 10th by phone (914)939-6710 x108 or in person. “Preschool Storytime with Ms. Tee” is for ages 3-5 years on Wednesdays at 10:00am. Classes will be held on Wednesdays, September 19th & 26th, October 3rd, 10th, 17th, 24th, & 31st and November 7th. Parents and children will participate with fingerplays, songs, stories, musical instruments and other related parent child activities. Pre-Registration is required starting Monday, September 10th by phone (914)939-6710 x108 or in person.